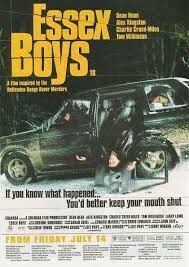 Essex Boys is a British crime thriller based loosely around events in 1995 that culminated in the murder of three drug dealers in Rettendon, Essex. Young taxi driver Billy Reynolds (Charlie Creed-Miles) gives up his job to become the driver for gangster Jason Locke (Sean Bean) and finds himself in some difficult situations. The film was co-written by Jeff Pope (Cilla, Mo) and Terry Winsor (Mad Money, Party Party) who also directs. The cast features lots of familiar faces including Sean Bean (Game of Thrones, Lord of The Rings, Martian). Alex Kingston (Doctor Who, American Odyssey, ER), Tom Wilkinson (Eternal Sunshine of a Spotless Mind, The Best Exotic Marigold Hotel). Charlie Creed-Miles (Ripper Street, Harry Brown) and Larry Lamb (Gavin and Stacy, Eastenders). 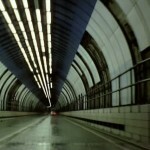 The Essex Boys production team visited the Dartford Crossing to film scenes where the gang travels from Kent to Essex. Dartford is a historic town situated close to London and home to one of Europe’s largest shopping centres. The Dartford Crossing – QEII Bridge has also been used as a film location for Harry Potter and the Deathly Hallows Part 1 (2010), London Spy (2015), Hummingbird (2013). Essex Boys was released on 14th July 2000 and is now available to purchase on DVD. 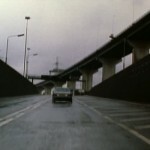 This entry was posted in Filmed in Kent and tagged Alex Kingston, Dartford Crossing, Essex Boys film location, feature film, Sean Bean, Tom Wilkinson. Bookmark the permalink.